Mass street protests are usually seen as a hallmark of democratic aspirations. And elections are meant to be a culmination of such aspirations, affording people the opportunity to choose their own leaders and system of government. But in country after country these days, the hallmarks of democracy are being dangerously subverted and co-opted by powerful elites. The question is, are we recognizing what is happening under our noses? Three examples unfolding right now are indicators of this trend: Thailand, Ukraine and Egypt. Thailand has just witnessed its 19th coup in 82 years. Although coup leader Gen. Prayuth Chan-Ocha has promised “genuine democracy,” he has given no timetable for an end to martial law. The U.S. State Department initially refused to call the takeover a coup, insisting that martial law is consistent with Thailand’s constitution. It then changed its tune to issue a strongly worded condemnation. In Ukraine, voters elected a pro-Western leader after President Viktor Yanukovych fled following mass protests over his refusal to sign an accord with the European Union. Although the incoming president, Petro Poroshenko, has promised democratic development, the U.S. has openly sided with pro-Western forces inside Ukraine and raised the tensions of the conflict to near Cold War era levels, rendering any promises of true democracy ineffectual at best. In Egypt, an army general is in the process of being “elected” following a period of violent military rule after post-revolution elections yielded a leader from the Muslim Brotherhood. The U.S. quietly condoned the army’s overthrow of the Brotherhood leadership and has made only lukewarm criticisms of violent repression under Gen. Abdel Fattah al-Sisi, employing a dangerous wait-and-see approach while Egyptian lives hang in the balance. Once the election is over, Sisi will likely be viewed by the U.S. government as a democratically elected leader. In Thailand, Ukraine and Egypt, wealthy elites, whether native born or foreign, have used popular movements and elections to ratify decisions in their favor. In an interview on Uprising, filmmaker and investigative journalist Andre Vltchek, who has traveled recently to all three countries in question, explained that in Thailand in particular, Thaksin Shinawatra, the business-tycoon-turned-prime-minister who was driven from power in 2006, “was trying to bring the country to modern capitalism.” He introduced medical care that is much better than the system in the United States, with “heavily subsidized medicines.” Additionally Thailand now has 15 years of basic education free for all citizens, and according to Vltchek, Thaksin gave citizenship to a population of millions in the north who were disenfranchised. Thaksin’s supporters called themselves the Red Shirt Movement, and consisted primarily of rural Thai farmers and left-wing activists. To be fair, Thaksin’s rule had several serious problems that Vltchek acknowledged as “terrible mistakes,” including a brutal “war on drugs” and a war against a Muslim minority in the south of Thailand. But it was his progressive social programs for which he was “hated by the elites—the monarchy and the military, because in Thailand it is not just money but the gap between the elites and the majority” that matters. What most of us viewed from the outside as a major people’s revolution occupying government buildings to oust a corrupt leader—the so-called Yellow Shirt movement—consists in fact of forces allied to the Thai royal family and military. The movement has ironically adopted the name People’s Alliance for Democracy. I asked Vltchek whether its supporters were really in favor of democracy. “No, they were not,” he pointedly replied. In fact, “they have nothing to do with democracy”; rather, “they were against democracy,” said Vltchek, who met with many of the Yellow Shirt protest leaders and heard the “rumors that there were ‘very powerful forces’ behind the protests,” which meant “the monarchy and the military.” Vltchek maintained that Thai elites are afraid of true democracy, as the opposition ran in multiple elections after Thaksin was pushed out and lost time and again. FILE – This May 5, 2014 file photo shows a pickup truck driving down a road of the Homer City Generating Station in Homer City, Pa. The Obama administration is poised to unveil first-ever rules limiting greenhouse gas emissions from the power plants that dot the U.S. map. President Barack Obama says the rules are essential to curb climate change, but critics disagree. WASHINGTON (AP) — The new pollution rule the Obama administration announces Monday will be a cornerstone of President Barack Obama’s environmental legacy and arguably the most significant U.S. environmental regulation in decades. But it’s not one the White House wanted. As with other issues, the regulation to limit the pollution blamed for global warming from power plants is a compromise for Obama, who again finds himself caught between his aspirations and what is politically and legally possible. It will provoke a messy and drawn-out fight with states and companies that produce electricity, and may not be settled until the eve of the next presidential election in 2016, or beyond. “It’s going to be like eating spaghetti with a spoon. It can be done, but it’s going to be messy and slow,” said Michael Gerrard, director of the Center for Climate Change Law at Columbia University. At the crux of the problem is Obama’s use of a 30-year-old law that was not intended to regulate the gases blamed for global warming. Obama was forced to rely on the Clean Air Act after he tried and failed to get Congress to pass a new law during his first term. When the Republicans took over the House, the goal became impossible. The new rule, as the president described it in a news conference in 2010, is another way of “skinning the cat” on climate change. The rule will tap executive powers to tackle the single largest source of the pollution blamed for heating the planet: carbon dioxide emitted from power plants. They produce about 40 percent of the electricity in the nation and about one-third of the carbon pollution that makes the U.S. the second largest emitter of greenhouse gases. FILE – This June 25, 2013 file photo shows President Barack Obama wiping perspiration from his face as he speaks about climate change at Georgetown University in Washington. The Obama administration is poised to unveil first-ever rules limiting greenhouse gas emissions from the power plants that dot the U.S. map. President Barack Obama says the rules are essential to curb climate change, but critics disagree. “There are no national limits to the amount of carbon pollution that existing plants can pump into the air we breathe. None,” Obama said Saturday in his weekly radio and Internet address. “We limit the amount of toxic chemicals like mercury, sulfur, and arsenic that power plants put in our air and water. But they can dump unlimited amounts of carbon pollution into the air. It’s not smart, it’s not safe, and it doesn’t make sense,” he said. While Obama has made major reductions in carbon pollution from cars and trucks by increasing fuel efficiency, manufacturers cooperated after an $85 billion government bailout. His rule requiring new power plants to capture some of their carbon dioxide and bury it underground, while significant, has little real-world impact because few new coal plants are expected to be built due to market conditions. Both those rules also prescribed technological fixes or equipment to be placed on the automobile or power plant. The rule released Monday, though, would allow states to require power plants to make changes such as switching from coal to natural gas or enact other programs to reduce demand for electricity and produce more energy from renewable sources. They also can set up pollution-trading markets as 10 other states already have done to offer more flexibility in how plants cut emissions. Plans from states won’t be due until 2016, but the rule will become final a year before. That hasn’t stopped the hoopla over the proposal. Some Democrats worried about re-elections have asked the White House, along with Republicans, to double the length of the rule-making comment period, until after this November’s elections. The Chamber of Commerce said the rule would cost $50 billion to the economy and kill jobs. Harvard University said the regulation wouldn’t just reduce carbon but also would have a beneficial side effect: cleansing the air of other pollutants. Environmental groups, meanwhile, are taking credit for helping shape it and arguing it would create jobs, not eliminate them. Rep. Nick Rahall, a Democrat from West Virginia, which gets 96 percent of its power from coal, said Thursday that while he didn’t have the details, “from everything we know we can be sure of this: It will be bad for jobs.” Rahall faces a difficult re-election in November. 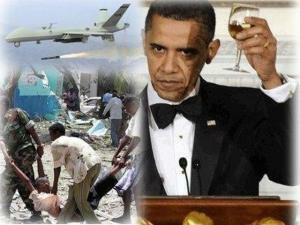 Obama said such pessimistic views are wrong. Environmental Protection Agency Administrator Gina McCarthy and other government officials have promoted the proposal’s flexibility as way to both cut emissions and ensure affordable electricity. But that flexibility could backfire. Some states, particularly those heavily reliant on fossil fuels, could resist taking action, leading the federal government to take over the program. That happened in Texas when it initially refused to issue greenhouse gas permits through another air pollution program. Lawyers for states and industry also are likely to argue that controls far afield of the power plant violate the law’s intent. The rule probably would push utilities to rely more on natural gas because coal emits about twice as much carbon dioxide. The recent oil and gas drilling boom in the U.S. has helped lower natural gas prices and, by extension, electricity prices. But it still generally is cheaper to generate power with coal than with natural gas. Also, natural gas prices are volatile and can lead to fluctuations in power prices. The rule will push the U.S. closer to the 17 percent reduction by 2020 it promised other countries at the start of Obama’s presidency, it will fall far short of the global reductions scientists say are needed to stabilize the planet’s temperature. That’s because U.S. fossil-fueled power plants account for 6 percent of global carbon dioxide emissions. About 16 fighters and one Pakistani soldier are killed in Bajaur tribal district, which borders Afghanistan. About 16 fighters and one government soldier have been killed during a clash in Pakistan’s northwestern tribal region, army officers have said. The attack took place in the Bajaur tribal district bordering Afghanistan on Saturday morning. Bajaur is one of seven semi-autonomous tribal regions of the Federally Administered Tribal Areas (FATA) of Pakistan. The fighters were killed when they entered Pakistan and attacked a military checkpoint, killing one soldier and wounding two others. The Associated Press news agency, quoting unnamed Pakistani army officers, said the military was backed by helicopter gunships. Another military official confirmed the attack and casualties, which could not be verified independently. The military operation in the area is going on, according to reports. This is the first attack on the Pakistani army since the Tehreek-e-Taliban Pakistan (TTP) split into factions, with the Mehsud tribesmen parting ways from the main group. Pakistan and Afghanistan share a volatile and porous border that is often the scene of cross-border attacks. Fighters from both countries also cross the border to use the neighboring country’s soil as a safe haven. Since the TTP rose up against the Pakistani state in 2007, almost 7000 people have been killed in violent attacks around the country. Senate: Which groups are we at war with? In other words, the committee wants to ensure that the 9-11 mandate doesn’t devolve into a carte blanche or blank check for endless or permanent war. Additionally, as articulated by committee member Sen. Bob Corker (R-Tennessee), the Senate also wants to ensure that the administration be given the legal authority and power to continue counter-terrorism activities, especially against new terrorist groups that are independent of Al Qaeda and the Taliban — the two groups that fall under the 9-11 AUMF. 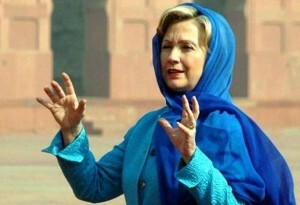 The Obama administration’s concern is to devise “a legal framework” to enable the U.S. to continue to combat terrorists if the 9-11 AUMF is repealed although, as McLeod and Preston repeatedly emphasized, Obama as president already has the authority under Article II of the Constitution to act against terrorists posing “an imminent threat” even without the AUMF. That led to a bizarre exchange between Sen. Corker and McLeod&Preston, on whether an AUMF is even needed given McLeod’s and Preston’s insistence that the president already has the Constitutional authority to act against terrorists. 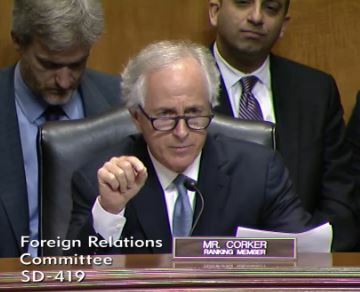 In Sen. Corker’s words, it sounds like Congress and the AUMF are irrelevant. 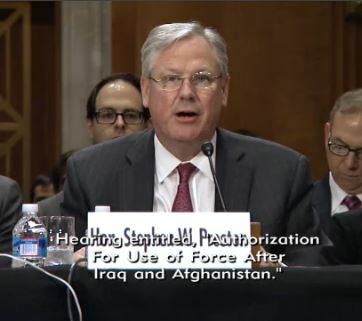 Preston first answered that the AUMF as it is today allows the U.S. to go against specifically al-Qaeda, the Taliban, and groups “associated with” al-Qaeda and Taliban. At that, Sen. Corker blew up and said Preston was not answering the question. So Preston then said, “I am not aware of any foreign terrorist group that presents a threat of violent act against this country that the president lacks authority to use military force to defend against as necessary simply because it has not been determined to be an associated force within the AUMF.” In other words, even if a group not covered by the AUMF presents a threat to the U.S., the president has the authority to act against it. Sen. Menendez then said, quite logically, that given the president already has all the authority he needs supposedly from the Constitution, why not repeal the (irrelevant) 9-11 AUMF? Beginning at around the 1:20:00 mark, Sen. Ron Johnson (R-Wisconsin) said he found the hearing “confusing” because isn’t it true that on May 23, 2013, Obama had declared the global war on terror to be over? When Sen. Johnson pressed Preston if the AUMF covers what the administration is doing against terrorist groups and if so, why would Obama favor repealing the AUMF? Preston mealy-mouthed and said that what Obama meant is that he eventually favors the repeal, but not right now. 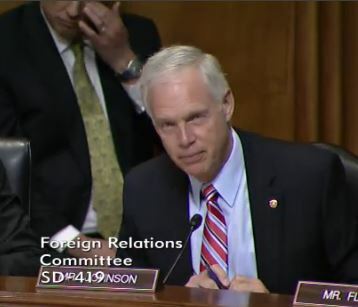 Sen. Johnson then asked Preston what Obama proposes about AUMF — if not repeal, then what changes does he want? But Obama hasn’t conveyed what he wants to Congress throughout the past year. Preston said Obama wants to establish a “legal framework” but refused to elaborate what that is. 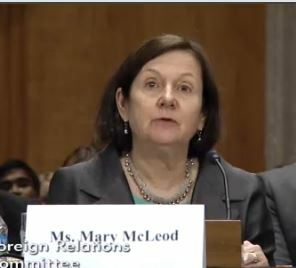 In reference to Preston’s and McLeod’s emphasis on Obama having war-making power, with or without AUMF, from the Constitution’s Article II, Sen. Chris Murphy (D-CT) asked Mary McLeod if Obama has the authority to go to war without Congress’ approval against a sovereign country that’s harboring terrorists posing an imminent threat to the United States, McLeod simply refused to really answer. Sen. Menendez pointed out that when the U.S. went to war against Libya, that country didn’t pose an imminent threat against America. McLeod had said earlier that the U.S. did that with NATO and UN approval. Menendez asked if Obama had authority to act with UN approval but without asking Congress, to which McLeod again didn’t really answer, except to blabber incoherently about “international law”. 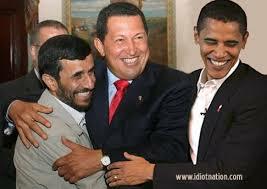 Obama really does not have a Syrian policy. Obama really does not have a policy or opinion on the AUMF. The testimonies by the Obama administration’s two representatives Stephen Preston and Mary McLeod were utterly “hollow”; the entire hearing quite pointless and decidedly “not gratifying”; and Obama really doesn’t have a policy about Syria or AUMF or any foreign policy for that matter. The real goal of “healthcare” legislation, the real goal of “cap and trade,” the real goal of “stimulus” is to rip the guts out of our private economy and transfer wide swaths of it over to government control. Do not be deluded by the propaganda. These initiatives are vehicles for change. They are not goals in and of themselves, except in their ability to deliver power, and will make matters much worse, for that is their design. This time, in addition to overwhelming the government with demands for services, Obama and the Democrats are overwhelming political opposition to their plans with a flood of apocalyptic legislation. Their ultimate goal is to leave us so discouraged, demoralized and exhausted that we throw our hands up in defeat. It is time to acknowledge that these people are our enemies. They don’t use guns, yet, but they are just as dangerous, determined and duplicitous as the communists we faced in the Cold War, Korea, Vietnam and wars across the globe, and the Nazis we faced in World War II. It is high time we overcome the denial, and fully digest and internalize this fact, with all its ugly ramifications. These people are stealing this country while we stand and watch. 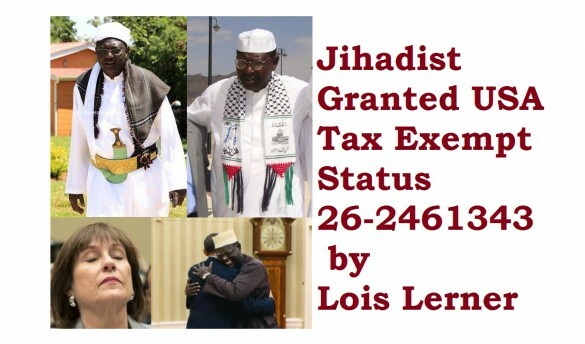 They have violated countless laws, and could be prosecuted, had we the political power. Not only are their policies unconstitutional, but deliberately so – the goal being to make the Constitution irrelevant, we could make them live up to their oath of office, had we the political power. Their spending is off the charts and will drive us into hyperinflation, but could be rescinded, had we the political power. Their policies are toxic, but could be stopped and reversed, had we the political power. Their ideologies are poisonous, but could be exposed for what they are, with long jail sentences as an object lesson, had we the political power. Every single citizen who cares about this country should be spending every minute of his/her spare time lobbying, organizing, writing and planning. Fight every initiative they launch. It is all destructive. If we are to root out this evil, it is critical that we win competent, principled leaders willing to defend our constitution and our country. Otherwise the malevolent cabal that occupies the seat of government today will become too entrenched. After that all bets are off. A million or more people gathered at the Washington, DC Mall on September 12, 2009. Many of these people were middle-aged or elderly. For most this was the first public demonstration they had ever attended. It was an unprecedented spontaneous outpouring of concern over this President and Congress’s reckless policies, expressed by people who one year ago didn’t know each other, had never heard of “community organizing” and had no need to. they were ignored by Pelosi and the liberal democrats who controlled congress. Obama and his Whitehouse handlers are purposefully destroying our economy. You have to be blind not to see it. They selling us down the river to our enemies. You have to be deaf not to hear the war drums. He is destroying our liberty by centralizing control in the executive branch. You have to be dumb not to perceive it. 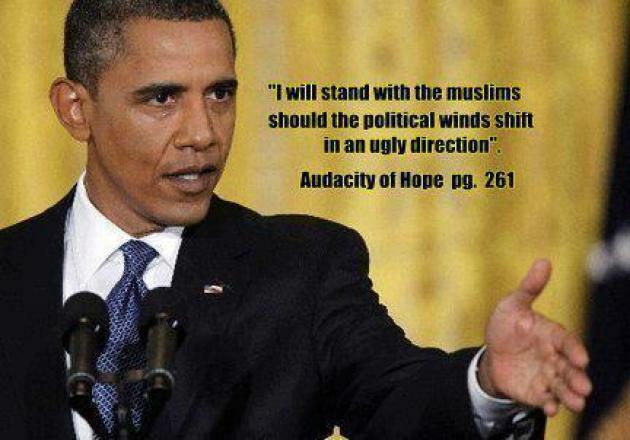 America is about to be destroyed from within, Americans and their children, will suffer for years to come. The Progressive Machine will NEVER give up their power over this nation and their people without a horrific fight to the death. Do Americans realize exactly what is at stake?The clearest signal of all: the combined efforts to disarm American citizens and the massive weapons build up within the Department of Homeland Security (DHS). BEIJING, May 30 (Xinhua) — A tragic hostility is unfolding in Asia while Vietnam and Japan, who share similar culture heritage with China, see their neighbor much more like a thorn in their sides. After a Vietnamese fishing boat deliberately entered Chinese waters and collided in a kamikaze-style attack on a vessel protecting an oil rig in China’s Xisha Islands on Monday, Hanoi blamed it on China and quickly sought foreign aid to beef up its marine patrol. Japan’s Prime Minister Shinzo Abe found this a good chance for finger-pointing and eagerly dressed up Japan as a counterweight to the growing influence of China. This is ironic. Since his Liberal Democratic Party-led government took power at the end of 2012, Abe has been upsetting Asia with his attempts to reverting to militarism. A good question is why has the term “China threat” been coined rather than “Japan threat”? Here are three key reasons. Firstly, China keeps emphasizing its special characteristics or differentia from the other states, which creates mystery and makes it easily depicted as an imaginary enemy. Still today, many Chinese sadly find their national totem of the dragon and the red flag of the country’s governing party, both majestic in the Chinese culture, seen as evil or dangerous symbols in the West. Secondly, within a few decades, China effectively eliminated poverty, and quickly rose into the world’s second-largest economy. More disturbing is the fact that all its economic achievements have been made under a political system whose founders had aimed to eliminate capitalism. Over the past few centuries, the world has been following the Law of the Jungle: the strong get stronger while the weak get weaker. Can China be so different from the previous powers in not seeking hegemony? It is a question upsetting many people across the world. Many of those who advocate containing China involuntarily make an empirical judgement. It was too bad that Japan was not stopped in the 1930s. So it is time to stop China now, they say. But believe it or it, empiricism could be wrong. China will never be a second Japan. With a history of 5,000 years and incorporating diverse culture that they have either created or had imposed on them, the Chinese people have developed a unique perspective on the relationship between man and nature as well as between state and state. Those familiar with Chinese history know China was the world’s most powerful state for a long period of time but it never colonized or invaded any country. “However large a country is, bellicosity will cause it to perish,” goes an old Chinese adage that still resonates nowadays. To the Chinese people, the path to safeguard world peace is not in the battlefield but in people’s minds. Those who are capable of training their mind properly to become compassionate will be capable of securing peace in family, society and the world without resorting to force. And in the eyes of a compassionate person, every individual is equal. This is why the founders of the People’s Republic of China invented an independent, peaceful foreign policy which forbids entering an arms race and alliance with any big power; which maintains all countries, large or small, rich or poor, are equal; and which sticks to solving disputes through dialogue rather than confrontation. Thirdly, Chinese culture does not encourage evaluation of others, but instead focuses on self-perfection. As defaming others does not glory ourselves, identifying a threat does not make Chinese feel safer. But take a second look at how the world has been run over past centuries and one will find that people have been used to the logic of picking a rival and finding the sense of security through competing. Such logic, however, judged by ancient Chinese wisdom, only reflects the feebleness of humanity as it can hardly prove its own value without making something out of nothing. To safeguard regional and world peace, a feasible and responsible way is to eliminate hostility first and manage not to be deceived by a troubled mind. To foreigners, China is different but never incomprehensible. Whether China will become a threat or opportunity depends on whether or not an observer can break down bias and empiricism to embrace unfamiliarity with a good will. History shows that the visions of political leaders have direct bearing on the future of a country. If a political leader chooses to put forward an imaginary enemy for short-term gains or ballots, the well-being of the people will be sacrificed. And no political leaders are dignified if their people suffer. A compassionate political leader will not bow to inner fear by stoking up upset but seek to expand common ground and mutual benefits to help peace and friendliness grow. The violent riots targeting foreign investors in Vietnam this month were appalling. And no doubt the tragedy stems from the untamed public fear of threats or uncertainties. So please beware, “China-threat” advocates, for the good of the people! A Missouri congressman hopes to give the Department of Justice a taste of its own medicine with an amendment to halt an initiative that he says uses “intimidation tactics” and forces banks to sever relationships with legitimate businesses. “What it does is goes after an entire industry whether it’s obeying the law or not. And that’s just wrong,” Luetkemeyer said of the initiative in an interview with The Daily Caller. The Republican lawmaker’s amendment was successfully attached to the Commerce, Justice, and Science appropriations bill which passed a vote in the House late Thursday. Banks can suffer “reputational risk” by failing to spot fraudulent practices. This has had a chilling effect in forcing banks to be overly cautious in who they do business with, says Luetkemeyer. Luetkemeyer said that gun sellers, ammunition sellers, coin dealers, tobacco sellers, career repair service providers and many other businesses have been wrongly ensnared because of the initiative’s overreach. “They’re using intimidation on the banking folks to force them to discontinue financial services to their long term customers in some cases,” he said. He said the amendment is the first attempt at fixing the problem which he calls “this nonsense of government overreach.” He told TheDC that he has talked with DOJ about providing a safe harbor for banks to continue doing business with legal and legitimate companies, but the agency hasn’t listened. “This is picking and choosing winners and losers,” Luetkemeyer told The Daily Caller. Choke Point has drawn the attention of gun and ammunition dealers. They raised concerns after numerous reports that banks have been cutting off business relationships because of their line of business. And earlier this year, a number of adult film stars reported that banks were closing their accounts because of their industry, which is also deemed “high risk” under the initiative. “If the administration believes some businesses should be out of business, they should prosecute them before a judge and jury. 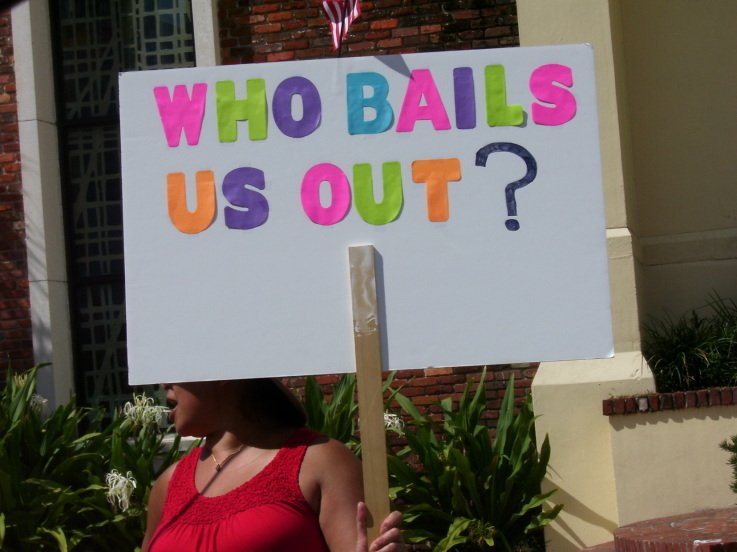 By forcibly conscripting banks to do their bidding, the Justice Department has avoided any review and any check on their power,” committee chairman Darrell Issa said in a statement.